Asuu strike is more than 100days now, what is our stand, Nigerian students have been indoors, most of them are using the strike period to make something out of themselves, some getting themselves into trouble. Oluwale of Project Fame is a good example of some students who used this strike period well, the young Skelewu dance winner, Moshood is another example. Just like Stella Damascus in the fight for the girl child right, now is time for celebrities to make use of their influence on the society in a positive way. 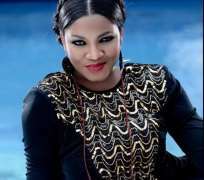 What are our celebrities doing for our students, or is it all about new looks,events, scandals and the rest, looking critically, only them can reach the government faster than the average Nigerians can, or are they going to fold their arms and use their time to upload photos on instagram or insult themselves on their twitter handle...Omotola has stood up to say something, where are the rest?